We'll be exhibiting at the National Manufacturing & Supply Chain Exhibition in CityWest Convention Centre in Dublin tomorrow. 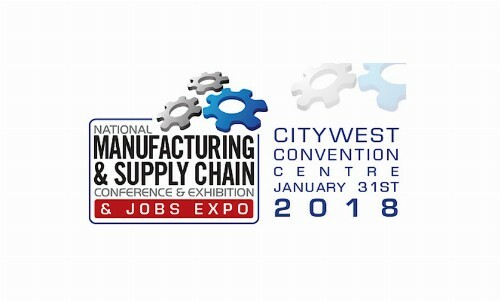 The National Manufacturing & Supply Exhibition will be held at Citywest on the 31st of January 2018. The event represents the largest annual one day gathering of key decision makers for the food, pharmaceutical, medical, life sciences, engineering, electronics and supply chain sector. Over 3,000 delegates will attend to hear from leading experts on Brexit, Smart Factory, Lean, Skills & Training, Procurement, Health & Safety, Clean Room, etc.